Lind Archer, a young teacher, arrives from the city to board on the farm of the Gare family in the farm district of Oeland of northern Manitoba. The family's father, Caleb Gare, is a member of the school board, and the wealthiest farmer in the area, and he runs his house with unflinching control. It is through Lind's eyes that we experience life in Oeland as he insidiously bullies and manipulates everyone he encounters. His neighbours are scared to defy him; over his wife Amelia, his sons Martin and Charlie, and daughter Ellen, he has total control; his daughter Judith offers only surface obedience, and when she has motivation to defy his plan for her, the stage is set for a show down. Judith is passion personified, a powerful force of nature. When the handsome and young Mark Jordan arrives in the neighbourhood, he unknowingly sets off a chain of events that has far-reaching effects for everyone in the community. Using both realism and naturalism, Ostenso explores the big themes of passion, power, morality, and the psychological effects of tyranny on different personalities, of the destructive power of secrets, lies, and hatred, jealousy and greed. It sounds like a very grim book, doesn't it? Well, it is, but in a good way. There is no gratuitous violence, no graphic scenes that are painful to read (at least for me, an I have a sensitive radar for that sort of thing); the violence for most of the book lies bubbling just below the surface. And this psychological drama is where Ostenso shines. But rest assured, there is an immense sense of satisfaction as the story unfolds; the good are rewarded and protected, the bad are punished with total destruction, the misguided are set back on the path of rightness. 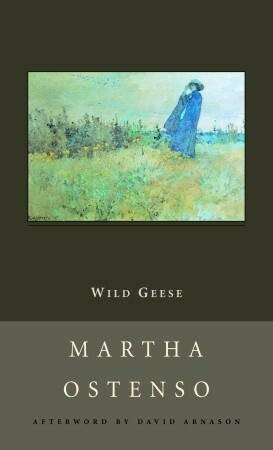 This is my third reading of Wild Geese. I fell in love with it on first reading, when Ostenso's use of figurative language knocked my socks off. She frequently gives clues to how we should read the book, making those connections for us through similes, or obvious comparisons. Some might say that Ostenso is heavy handed in her use of figurative language, especially in her frequent reference to the wild geese as symbolically important. She is not always subtle, but she is effective. The second time I read this book I recorded in my book journal that I was a bit turned off by how Ostenseo wrote the romance between Lind and Mark. It seemed as though she didn't know how to write about love in a way that didn't sound like a poorly written romance novel. Perhaps it was my mood, because I didn't notice that in the least this time. What struck me with this reading is how Ostenso has under-drawn both Mark and Lind. I have enough faith in her as a writer to believe that she chose to write them this way intentionally. We do not get to know them the way we get to know the members of the Gare family; they are "types" rather than fully drawn characters. They are written as the Everyman foil against the harsh realities of the Gares and an emotional entry point for the reader into the novel. Amelia thinks of Lind as, like she herself had been at one time. Judith tries to be more like her. We are able to put ourselves, as readers into the place of either Lind (the prettiest) or Mark (the handsomest). They are characters the reader can relate to as Ostenso takes us into this isolated, rural community. This is close to a perfect novel, so well crafted, and absolutely clever in its ability to show us any number of points of view without jarring transitions between perspectives. It wasn't till close to the end of the novel that I realized how smoothly that was being accomplished. I was very surprised to read in the Afterward by David Arnason about the life of Martha Ostenso, clearly a very clever woman. 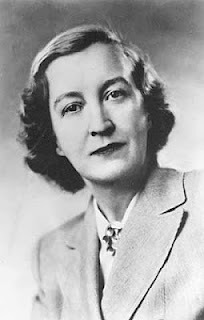 She wrote the first draft of Wild Geese in about six weeks for a contest, and was awarded the cash prize of $13 500 - a princely sum in 1926! The novel was published in serial, in novel, and in film form (silent film!). Martha Ostenso was Norwegian born, and lived in Canada for only about six years from ages 15-21 where she worked as a rural school teacher after finishing high school, and then attended the University of Manitoba in 1918. Beginning a relationshi with her professor, she followed him to America.where she attended Columbia University from 1921-1922. I look forward to reading more of her novels, although there is suspicion that she and her professor/lover collaborated on her later work. 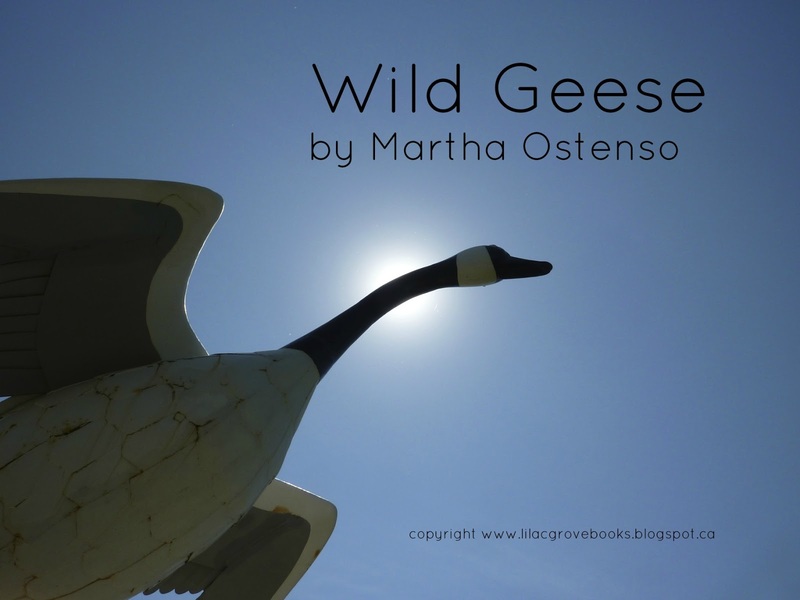 I came across your blog as I was researching a phrase from Wild Geese, M. Ostenso... Thanks for posting, you helped me find a quote. Then I was very pleased to have a look around your blog and have shared the link with one friend and probably will share with others. I am full of admiration for your reading list. And please notify me though I omitted to click the box.